Retail traffic counts show easy adjustments that can improve stores' performances across the retail chain. By acting on the retail analytics an increase of 30% in sales is achievable in just a few months, without any increase in store traffic. Working to improve key performance indicators like average shopping time, dwell time and sales conversion produces a significant impact across the chain. Analyse why one store in a chain may be under-performing. Integrate retail footfall counts with point-of-sale database for real-time sales conversion figures. In general, the longer the Average Shopping Time the more people buy. Compare average shopping time across stores to ensure best practice in all. Count passers-by: how many people look in the window but don't enter a store? Will changing the window display impact this? Monitor queues and test steps taken to reduce them. Test effectiveness of displays: see hotspot maps of activity and dwell times. Know exactly how long people pause at displays, stands and kiosks - the longer they remain the more likely they are to buy. Efficiently allocate staff - test whether changing staff numbers or working patterns affects key metrics. Use these key analytics to optimise performance across the chain. Be confident of count accuracy by viewing the video and monitoring counts and timings. Privacy of your customers is maintained - no facial recognition or personal identification is used. If you would like our help with collecting and analysing retail data: get a quote, send us an e-mail or fill in the form below for more information. 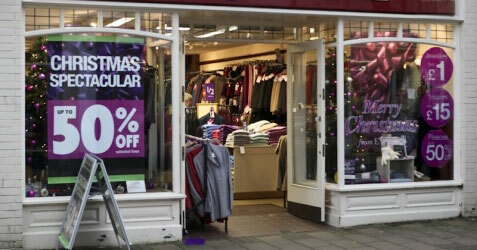 Retailers can integrate retail footfall counts with Point-of-Sale (POS) databases in real-time. At regular intervals - as little as every 5 minutes if necessary - retail traffic counts are transferred from the people counters to a central POS system. The people counts can thus be incorporated into graphical and mapping software showing real-time traffic and conversion rates alongside point-of-sale figures. The information can be distributed as needed. One retail chain, for example, sends data back from headquarters to store managers' computers every 15 minutes. This shows how close the manager is to the sales conversion target for that quarter of an hour. The manager has an earpiece connected to every staff member and tells them whether they are on-target or not, based on current store traffic and sales. The target-based incentives dramatically increased sales. Get in touch and let us tell you more. This can be accurately measured when the shopping time system is linked with the point-of-sale system. Read how a supermarket chain used average shopping time and other key metrics to sell more items in one of its stores which was underperforming. Dwell Time is the length of time a person spends looking at a display or remains a specific area. Studies show that the longer the dwell time, the more likely are people to buy something. Measuring dwell times across the store, and acting to improve them, will increase sales. Of course, just making someone wait longer to be served or helped by a member of staff is not going to increase sales. But measuring dwell time around a store also lets you pinpoint service problems and take remedies to fix them. Read more in Retail Dwell Time: The Route to Higher Spending. How do you measure the affects of advertising campaigns? One obvious metric is sales. Has the store sold more products during the campaign? But more sales are only an indirect measurement of advertising success. What if more people entered the store because of the advertising, but less of them bought anything - is that a success or a failure? 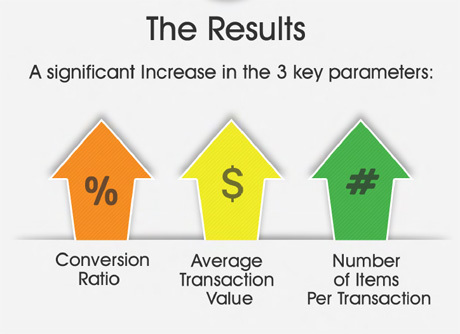 And what are the reasons for the decrease in sales conversion? It may be, of course, that the advertising attracted browsers but not prospective customers. It's more likely though that sales conversion was down because of other factors: staffing levels, running out of stock, long queues...Managers can make educated guesses but only by measuring footfall can retailers accurately assess marketing success. Without the footfall traffic figures, no-one knows whether an increase in sales is an indication of a job well done or of opportunities lost. Together with the other retail analytics, managers can pin-point the reasons for success. Retail profits depend on attracting people into the store and converting them into customers. There are many factors to converting the store traffic into sales, not least the right products at the right prices. But retailers also need enough staff to ensure a good shopping experience, whether it's by helping people find what they are looking for, providing advice on products, suggesting alternatives or giving a quick check-out. To ensure that the staff are effectively allocated, retail store managers need to know when are their peak shopping times and busiest footfall. A retail traffic counter can show a half-hourly break-down of the counts for the whole day. The counts can be integrated with a workforce management system, making it easy to create better forecasts and staffing schedules. Staffing is generally the second largest expense for retailers. Understanding retail traffic patterns means retailers can identify key selling periods. This lets them allocate appropriate numbers of staff at busy periods, and choose to have their best staff members on the floor at these times. It also means that staff are not employed in secondary activities, such as tidying or re-stocking, at busy times. When shoppers aren't sure what to buy, and don't get helpful advice from retail staff, 90% of them leave empty-handed, according to a recent survey. A people counting analytics system empowers retailers to decide whether cutting staff levels will make them more, or less, profitable. The people counts can be integrated into smart building systems, sending real-time data to "brokers". The brokers process the data and make it available to authorised end users via cloud reporting. 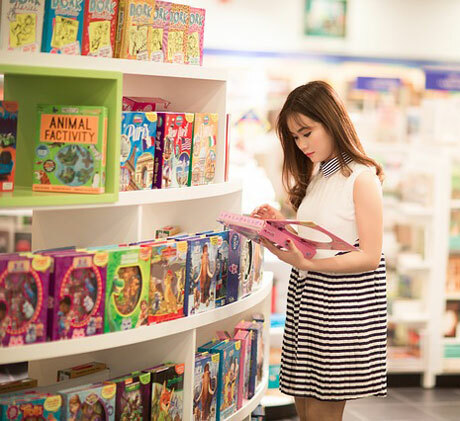 The retail industry is becoming more complex and is constantly evolving. In a shifting environment retailers will have to modify their existing strategies to achieve new goals. Retailers need to know the footfall at their shop at regular intervals to remain competitive in the complex retail world. Retail Sensing Ltd is a global organisation providing retail intelligence to major clients across the world. As leading innovators within the market, we are constantly developing and designing our technology to keep ahead of market demand and provide the highest quality products and services. 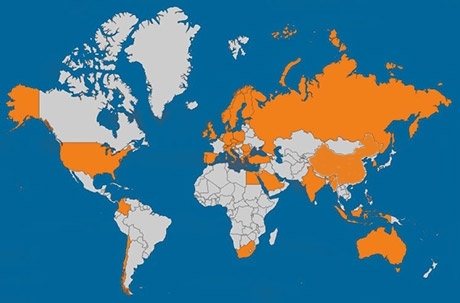 Our extensive experience in manufacturing products, coupled with hardware and software experts and a dynamic R & D team, allows us to provide accurate data to clients worldwide. Our head office, design and production facilities are in Manchester in the UK. The information you get from our systems will propel your business forward. Our retail traffic counting systems are being used in over 40 countries, including: Armenia, Australia, Austria, Belgium, Bulgaria, Chile, China, Colombia, Croatia, Czech Republic, Denmark, Egypt, Estonia, Finland, Germany, Greece, Hong Kong, India, Indonesia, Ireland, Italy, Korea, Kuwait, Malaysia, Myanmar, Netherlands, Norway, Poland, Portugal, Qatar, Romania, Russia, Saudi Arabia, Singapore, Slovakia, South Africa, Spain, Sweden, Switzerland, Turkey, UK and the USA.